TVCI Organic+™ is the Highest Standard of Marujuana Organic Testing. Organic means that marijuana seeds, clones and tissue samples are free of harmful pesticides and grow clean. Organic means plants develop medicinal compounds without interference by the application of toxic pesticides and petro-chemical fertilizers. Organic keeps workers safe from health risks associated with the production and long-term use of toxic products. Organic means production facilities are monitored for toxins from machinery. Organic keeps our soil, air and water free of toxic waste. And ultimately, organic means healthy, natural, life-giving food, drink and medicinals that enable our protective abilities. As Nature intended. TVCI Organic+ Cannabis standards for marijuana are the most comprehensive in the world. Testing for 150 chemical and synthetic pesticides, toxic metals, plasticizers, micro-biological content and of course GMO. TVCI Organic+ requires products to be certified organic by a certifier registered within the country of origin and then raises that bar to the highest set of organic standards in the world for marijuana. TVCI Organic+ products must be grown, extracted, packaged and stored at certified organic facilities. Once created the final product must be analytically tested by reputable third-party laboratories to ensure compliance. Laboratories must document strict assay procedures and adhere to professional standards. 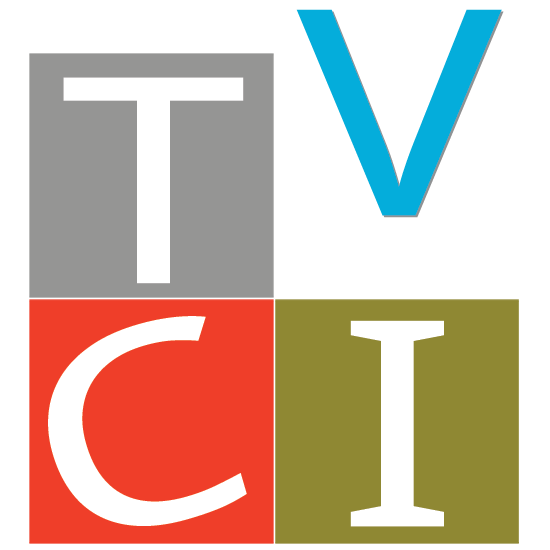 The ever-changing world of chemicals, metals and plastics must be continuously monitored and the ability to quickly update the TVCI Organic+ Watch List is paramount. Testing for GMOs is a requirement for TVCI Organic+. Why? Because routine organic certification allows a certain drift amount and the use of GMO-corn stock as mulch (2019). TVCI Organic+ prohibits use of genetically modified organisms (GMOs). Additional non-GMO certification is redundant. ¡ Please note: Having only GMO-Free certification does not mean organic! TVCI Organic+ is greater than pesticide-free. While some companies claim to remove pesticide toxins from marijuana that does not carry any credibility as an organic product. The Vancouver Cannabis Initiative supports certified organic from seed/clone to bud to extracted product. We do not support using toxins throughout and then removing them (to where?) at the end of the process. ¡ Please note: Having only Pesticide-Free certification does not mean organic! Not all organic testing is equal. TVCI Organic+ tests for more than toxic pesticides because pesticides are just one area that is problematic. TVCI requires tests for 150 chemical and synthetic pesticides, metals, plasticizers, aflatoxins and micro-biological content in order for marijuana to become TVCI Organic+ and be recognized as TVCI Cannabis. TVCI Organic+ tests for 102 toxic pesticides. Full List. TVCI Organic+ tests for No GMO 1. Full List. TVCI Organic+ tests for 34 noble, light, heavy and coinage metals. Full List. TVCI Organic+ tests for phthalates 1. Full List. TVCI Organic+ includes a full screen test for 5 aflatoxins. Full List. TVCI Organic+ tests 7 areas of micro-biological content. Full List. Once Canada legalizes the processing of Cannabis into extracts, distillates, edibles, etc. TVCI Organic+ will require testing results for residual solvents and adulterants. While still under development, TVCI Organic+ testing includes 61 residual solvents. Draft List. Each country legally accredits third-party organizations to inspect and verify that farms and all facilities follow set organic standards that keep products free from toxic chemical inputs. It is important to remember that certified organic is not only better for your health, it provides for the health of farm and production workers, and the health of the planet. Each country has its recognized list of accredited organic certifiers. Countries may allow cross-certification if standards meet or exceed their own. To fulfill standards for organic certification a business must study and comply with the organic standards, document operations and annual plans, allow inspections, maintain detailed activity records and pay for inspections and certification licences. » For a final product to be labelled Certified Organic means that farmers, production facilities, laboratories, shippers, warehousers and suppliers must verify, at great expense, that all products and facilities are third-party certified organic. Certification requires a commitment from everyone throughout the entire process to ensure marijuana of the highest quality. The unique Certificates of Analysis for each product must be available to clients. A detailed COA that meets the standards set out by The Vancouver Cannabis Initiative must be completed for each production run. There is no one size fits all. Each client must be given the ability to access the COA for the Cannabis product before they purchase. The onus is on the company to provide the COA not for the client to request it. By their very nature, wild-crafted marijuana plants are not certified organically grown. As such they would not be able to be extracted and packaged in a certified organic facility. But they must be subject to the same stringent post-production analytical testing. Results must be made available to clients who may then make their own determination of the wild-crafted value to their health. Of course, wild-crafted Canadian Cannabis is a dream but legalization in countries that offer the climate to support wild free run marijuana may lead to a market niche. Refined Cannabis pharmaceuticals may not be organically certified. Refined marijuana products must be subject to the same stringent post-production analytical testing. Results must be made available to clients who may then make their own determination of the refined value to their health. Respect for health begins with pure products. It is vital that marijuana be tested to the highest organic+ standards.